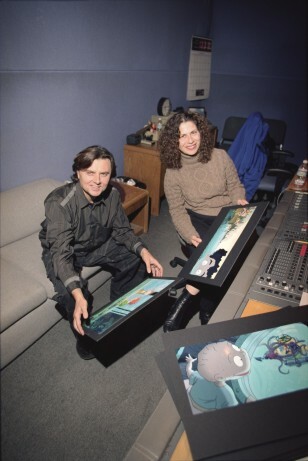 Right: Gabor Csupo and Arlene Klasky, working on Rugrats Go Wild. Here are some of the credits for Rugrats Go Wild. Additional Artistic Personnel Provided By: Artists, Inc.
© 2003 Paramount Pictures Corporation and Viacom International, Inc.
"The characters and events in this motion picture are ficticious. Any similarity to actual persons or events is unintentional."